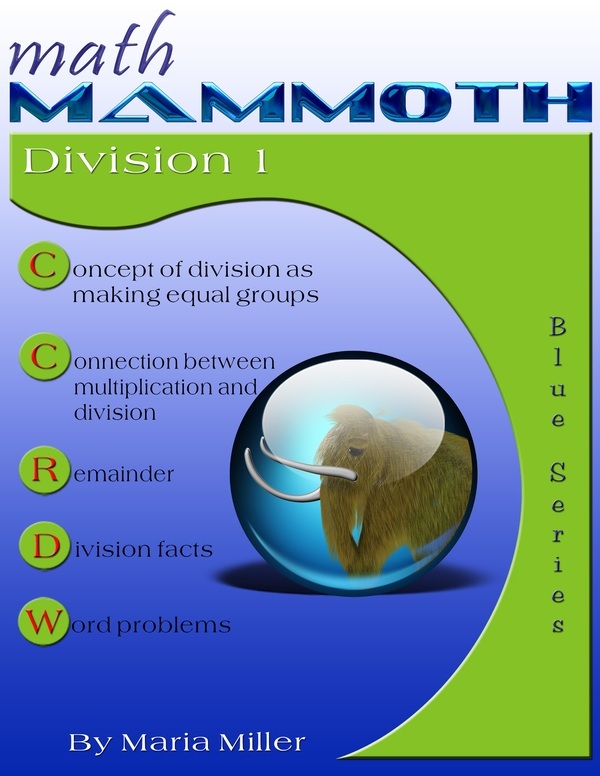 Math Mammoth Division 1: Divide, and Conquer the Concepts. Workbook for grade 3. Download as an ebook. 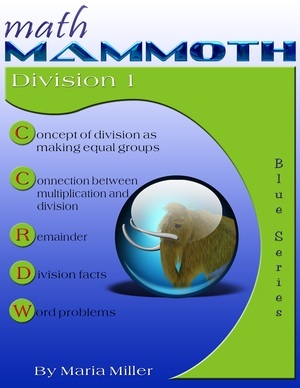 Math Mammoth Division 1 is a worktext about basic single-digit division, remainder, and divisibility. It is most suitable for third grade, after the student has learned the multiplication tables. Math Mammoth Multiplication 1—a worktext about multiplication concept, word problems, and multiplication tables (grade 3).